NOTE: There are two long pieces of organic cotton fabric at each corner. 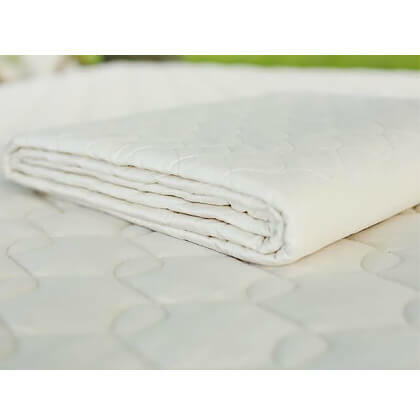 These ties allow the pad to fit any mattress 3″ to 14″ deep. Estimate about how long the ties need to be, then tie in place. A basic square knot (also called a granny or reef knot) or slip knot (or running knot) is a good choice. Online instructions are here. http://www/wikihow.com/Tie-a Square-Knot. 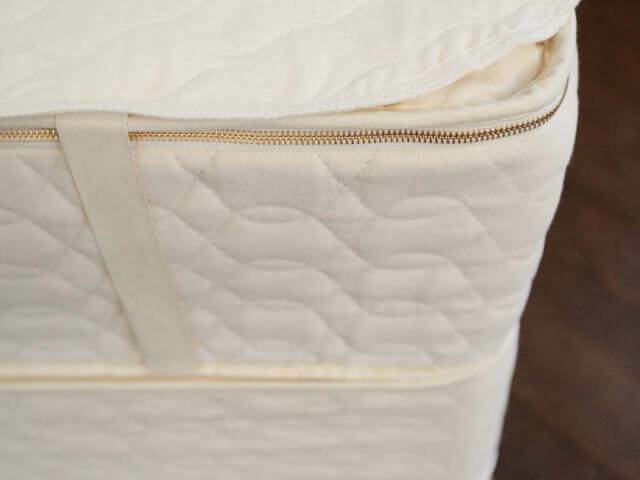 This cozy comfy pad is a savvy inexpensive way to start bringing the purity of an organic toxin free environment to the bedroom or carry on that level of pureness on top of the organic mattress you already own, the organic cotton mattress pad from Savvy Rest. Natural, unbleached color- This is to assure consumers that there are no added dies of any kind promising a night of toxin free sleep. Organic cotton – 1″ wide corner ties- Promises a secure fit which no cheap elastic to stretch or fray. 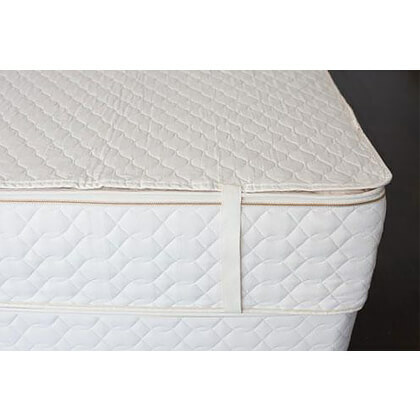 Excellent fit- Fits any mattress with a range of 3″ to 14 “. 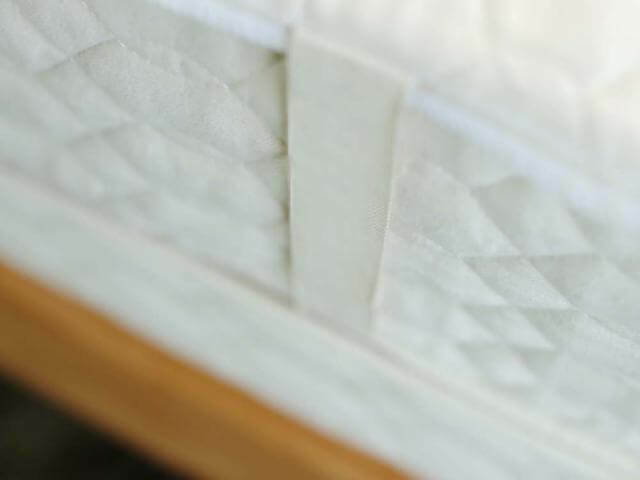 Comfort-Not too thick as to interfere with your current mattresses comfort or support. Breathable- A must, good sleep requires not sleeping too hot.